The RAM VIP Package Giveaway is back for the AMSOIL Championship Snocross powered by RAM season! 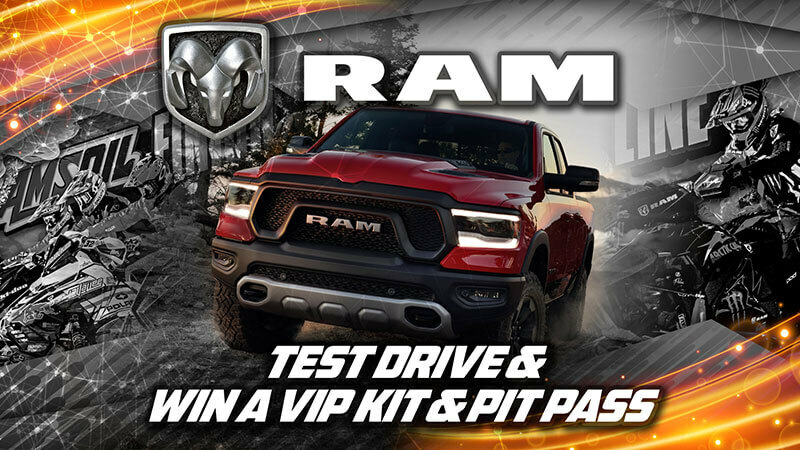 Check out the details below to get your very own RAM VIP kit! Trust us you won’t want to miss out on getting it. Bring To The EVENT Your RAM Dealer Test-Drive Quote, RAM Dealer Business Card, and/or Custom Build Your RAM Truck Online at Ramtrucks.com and Print-Out your Configuration. *Quantities ARE Limited, Offer Good While Supplies Last, Hurry In To Your Local RAM Dealer TODAY!